I love your rainbow pitcher! 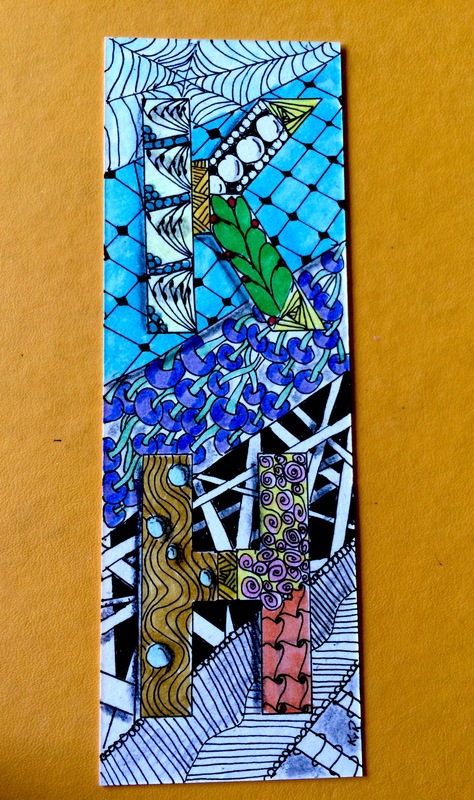 And your bookmark is lovely too. Is there a challenge for that? How wonderful that you will be going to Rhode Island for CZT training! I just went to 19, and let me tell you, you’re going to LOVE it! Everyone is so friendly, happy, inspired, and all are humbled to be in such a talented group. Of course, the best thing is the privilege of being trained by the Masters themselves! They are amazing! Have a wonderful time! Oh I cannot wait! I do already feel so inadequate so I have to be careful not to be overwhelmed by everyone else’s talent. I am sooo excited to be able to go! And actually, my bookmark was for the Diva challenge but maybe I misunderstood. I thought we could use anything on this one. Charming pieces. I am so happy for you that you will join the rest of us CZT’s after your trip. You will love every minute. Congrats in advance! Thank you so much!✨💖✨ I’m giddy with excitement, Jean! Can you answer a question I have about the evenings– do we have class then? Thank you so much!✨💖✨ …I appreciate your kind words so much. It’s easy to see that you love color – and you use it beautifully! You’ll love the CZT training…have a onderful time! Thank you so much!✨💖✨ I have three days before I go! Whoooo hooo! Your first ZIA is great! I also used color the first time i tried to tangle, but since then I’ve been very black, grey and white. 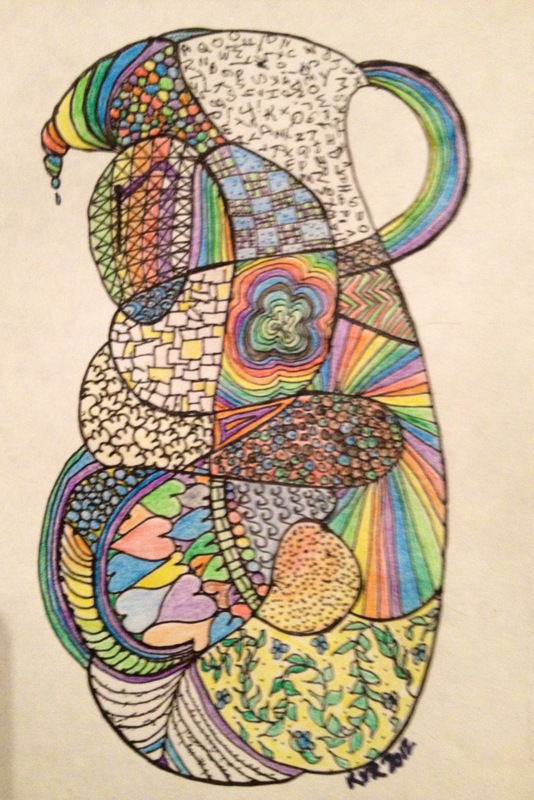 You obviously have a way with color, so this was a perfect challenge for you. Congratulations on attending the CZT 20 class. I think you’ll find it is well worth the long drive. You will learn and will meet some really nice people. I’m basing this on my experience at CZT 18. Safe travels. Thank you so much!✨💖✨ I already think it’s worth the long drive. I can hardly sleep for the feeling of excitement! Thank you…I appreciate your kind words so much. Thank you so much!✨💖✨ the bookmark is actually white but I colored a lot of blue on it. I appreciate your nice comment. Thank you so much!✨💖✨ I am giddy with anticipation! Both are very lovely! Especially I like your bookmark with its wonderful colours! Have a good time on the CZT20 training! Thank you! I’m so excited I can hardly sleep! Kath, I was so excited when I read your post and saw that you will be attending CZT Seminar #20 also!! I will see you there!! Have safe travels and I am sooooooo looking forward to meeting you!!! I really love your pitcher picture. What beautiful colors. And your bookmark is lovely!! Annette, I’m thrilled to know you will be there! I can’t wait to meet you! You will know me- I’m the one in the motorized chair (I’m disabled with several serious condition). Yay!!!!!!!!! This is great news! Annette, do we already know each other on Instagram?? Annette, are you in Facebook? Or have a blog? I miss you! Bookmark was very nicely done with color. Besides the color, your Diva challenge was so pleasant to look at with the curves that flowed through it. Sarah. Thank you so much!✨💖✨ I appreciate so much you reading the post and making such a kind comment!